When it comes to brush cleaning my first port of call is always Sigma. Their gloves and mats have really helped me to give my brushes a better than ever before clean. Considering I’m such a fan of their cleaning glove, I wasn’t sure they could outdo it – but then their brand new Dry’n Shape Spa arrived and everything went up another gear. 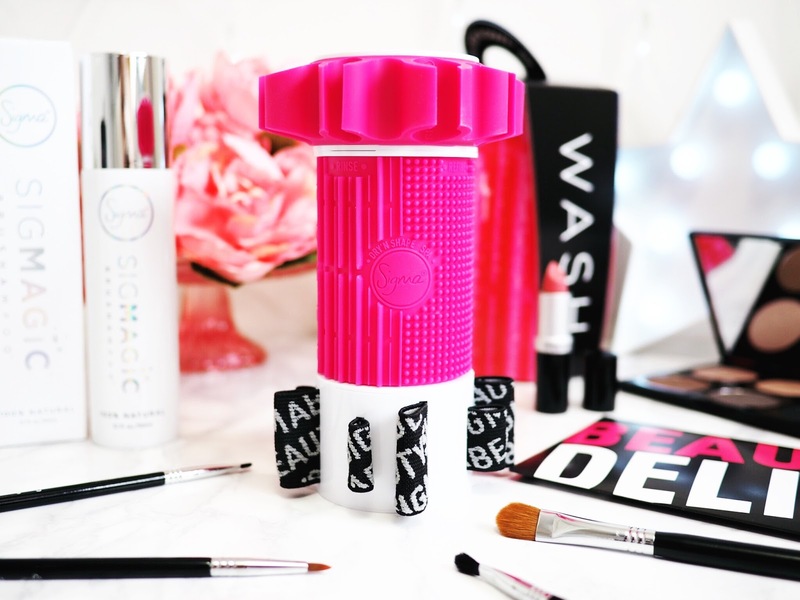 This nifty tower shaped tool is designed to wash, clean, dry and reshape brushes with every use. And it’s the only cleaning tower that I’ve seen which comes apart into section to help you with each stage of your brush washing. Each section is designed to do it’s own job. 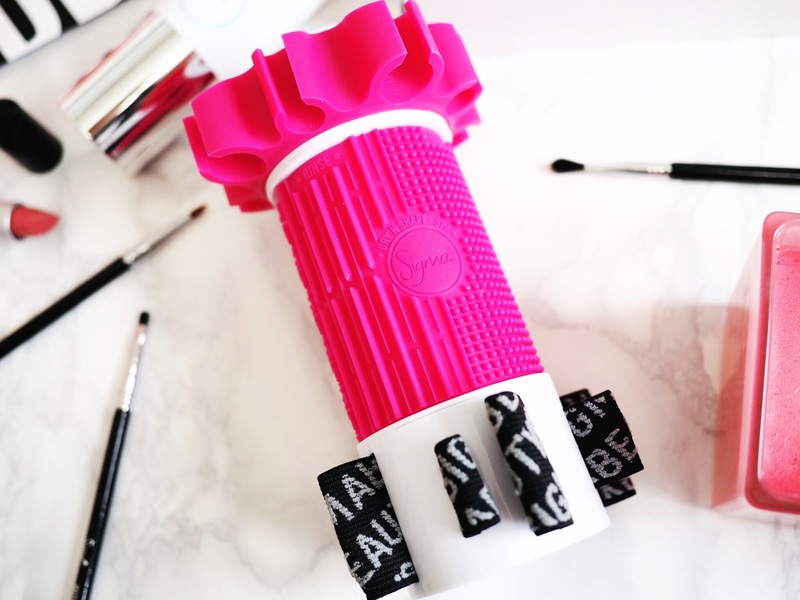 One section is bubbled for washing and removing the built up make-up that hides within the bristles, then the top section attaches to hold the brushes securely in place while drying. (There’s enough space for eight large face brushes and ten eye brushes too. Which should just about cover most people for their daily use brushes.) Then the bottom section is then split into towel-like segments to hold the bristle end of the brush, giving the excess moisture from each brush something to soak into. Cool huh? I love using this because it’s made my cleaning life so much easier. I do still use my glove for those tougher brushes, like my foundation brush, where so much make-up hides that I need something to help give me a bit more of an intensive clean. But I use it as one part of the process together with the Dry’n Shape Spa and I’ve got the perfect overall system for cleaning. Plus having something to hold my brushes in while drying is actually amazing as I hate having to rest them flat, as I worry they’ll lose shape quickly. So this brush spa is a great cleaning addition. And I’ve wanted a brush dryer for ages too, so Santa came a little early this year with this arrival! 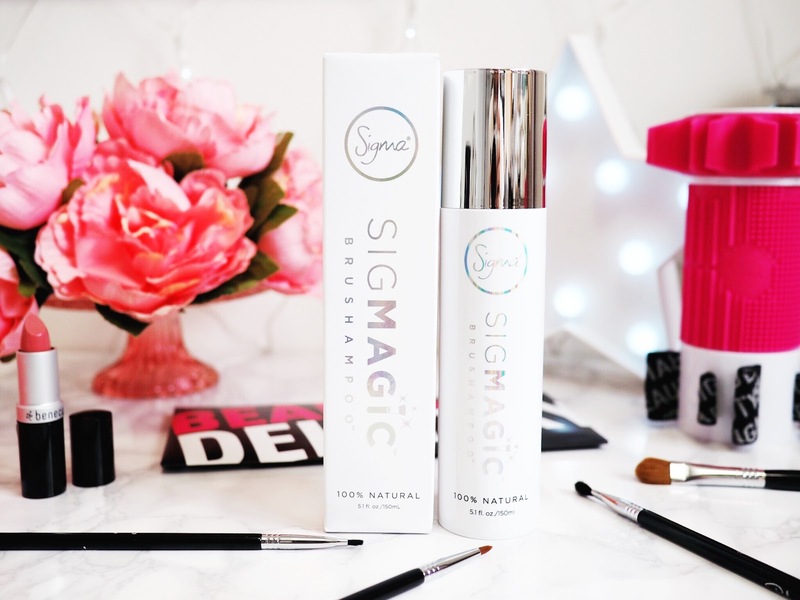 Not content with one new cleaning product, Sigma just released Sigmagic Brushampoo too which is by far my favourite brush cleaning solution. It’s made from 100% natural coconut and palm oil, so there’s no nasties waiting to pounce on my brushes. And it washes like an absolute dream. The solution dissolves make-up build up, oil residue and bacteria to make sure it leaves your brushes feeling super clean. Which is lovely for the next application. It’s like deep cleaning your brushes without needing a heavy amount of solution to soak them in. Think about a hair shampoo and conditioner and this is like the make-up brush version of that. Brushes feel clean and product free, and also soft and conditioned after use. So it’s another big thumbs up from me and my lovely clean brushes! 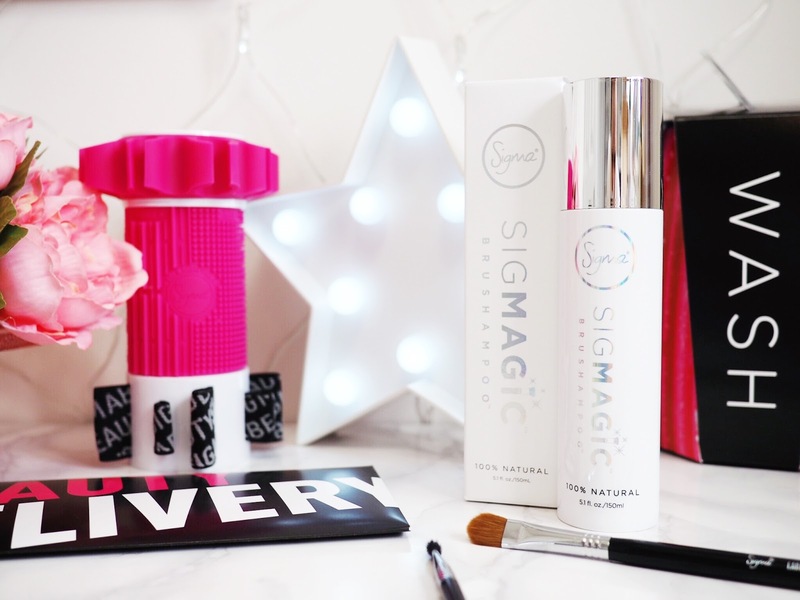 Get yours directly from Sigma. 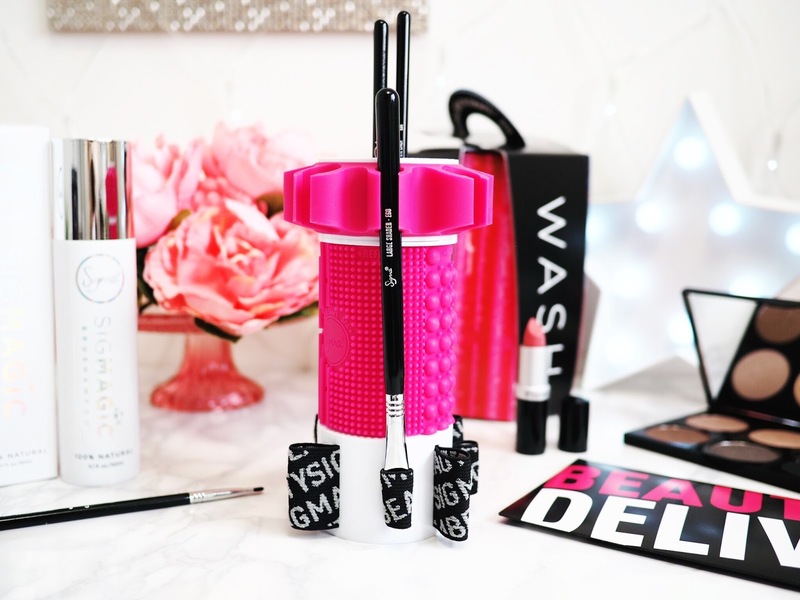 Do you and your brushes like the sound of the brush spa? Will you be asking Santa for one of these this year?